Life began for Leopold Cohn in the little town of Berezna, in the eastern part of Hungary. At the age of seven a great calamity befell the young lad; he lost both of his parents in the same year and was left to shift as well as he could for himself. In later years he often recalled how those days of terrible loneliness and bitter struggle for existence taught him to trust in God with all of his heart. It seems natural, then, to find young Cohn, after his con­firmation at the age of 13, determined to enter upon a course of study with a view to becoming eventually a Rabbi and leader among his people. That he gave good account of himself as a student we conclude from the fact that at the age of 18 he was graduated from the Talmudic academies with a record of high scholarship and with commendations as a worthy teacher of the Law. Following the completion of his formal studies and the sub­sequent receipt of smicha or ordination, Rabbi Cohn contracted a very happy marriage and, in keeping with the custom of the time became installed in his wife's paternal home, there to devote himself to the further study of the sacred writings. Through the years of almost ascetic religious study and devotion, the burning problems of his people, the problems of the exile and of the promised but long-delayed redemption through the coming of the Messiah, had become deeply etched upon the Rabbi's spirit, and now that he had obtained leisure and could follow the call of his heart, he gave himself to earnest prayer and research in the hope of finding their solution. A part of his morning devotions was the repetition of the twelfth article of the Jewish creed, which declares, "I believe with a perfect faith in the coming of the Messiah, and though He tarry, yet will I wait daily for His coming." The regular use of this affir­mation of faith fanned to a flame the desire of his heart for the fulfillment of God's promises and the speedy restoration of scattered Israel, until no longer satisfied with the formal prayers, he began to rise up in the midnight watches and sit on the bare ground to mourn over the destruction of the temple and to implore God to hasten the coming of the Deliverer. "Why does the Messiah tarry? When will He come?" These were questions which continually agitated the young Rabbi's mind. One day, while poring over a volume of the Talmud, he came upon the following citation: "The world is to exist six thousand years. In the first two thousand there was desolation; two thousand years the Torah flourished; and the next two thousand years is the Messianic era," With quickened interest he turned for light on the passage to the writings of Rashi, the foremost Jewish commentator, but the explanation he found there seemed to him to be of little help. When he turned away from the ponderous volumes, the solution of his problem appeared to him to have become more difficult than ever. According to Talmudic reckoning the Messiah should long since have come; yet, there was the exile, still the bitterest fact of Jewish life, to be accounted for. "Can it be possible," he asked himself, "that the time appointed by God for the coming of the Messiah has passed and the promise has not been fulfilled?" Sorely perplexed, Rabbi Cohn decided to begin a study of the original predictions of the Prophets, but the very contemplation of the act filled him with fear, for, according to the teaching of the Rabbis, "Blasted be the bones of those who calculate the end." (Sanhedrin 97b) And so it was that with trembling hands, expecting at any moment to be struck by a bolt from heaven, but with an eagerness irresistible, he opened the book of the prophet Daniel and began to read. When he reached the ninth chapter, light began to dawn upon him. He had struck a mine of hitherto concealed truth, covered up by the commentaries of the revered doctors of the law. From the twenty-fourth verse of the chapter before him he deduced without difficulty that the coming of the Messiah should have taken place 400 years after Daniel received from the Divine messenger the prophecy of the Seventy Weeks. The scholar, accustomed to the intricate and often veiled polemical treatises of the Talmud, now found himself strangely captivated by the clear and soul-satisfying declarations of the Word of God, and it was not long before he began to question in his mind the relia­bility of the Talmud, seeing that in matters so vital it differed from the Holy Scriptures. It was not an easy nor a pleasant matter for Rabbi Cohn, leader of a Jewish community, daily gaining in popularity among his people, to entertain doubts concerning the authority of the Talmud. Quite apart from the disquietude that it brought to his own soul, he felt that doubt was heretical in a man of his position and in some mystical way injurious to the welfare of Israel. And yet, every moment of sober contemplation brought him face to face with the question, "Shall I believe God's Word, or must I shut my eyes to truth?" In the midst of the conflict thus produced in his heart, there was one prayer that rose to his lips more often than any other: "Open Thou mine eyes, that I may behold wondrous things out of Thy law." Without being fully conscious of it, Rabbi Cohn was travelling toward a parting, of the ways. A crisis was inevitable, and it broke upon him one Chanukah. It was the season of the Feast of Dedication and, as was his custom, he planned to preach to his people on the meaning of the feast. He had not intended to refer in his sermon either to his doubts about the Talmud or to his late discoveries in the prophecy of Daniel, but when he arose to speak some of his deepest thoughts welled up within him and would not be denied articulation. The effect of his words upon the congregation became immediately evident. Whispers grew to loud protests, and before the sermon progressed very far the service broke up in an uproar. That day initiated a series of petty persecutions which robbed the life of the young Rabbi of its joy and made his ministry difficult to the point of impossibility. The New Testament was as yet an unknown book to Rabbi Cohn, and consequently it never entered his mind to look there for the fulfillment of the Old Testament prophetic predictions. In a vortex of soul, casting about for a course of action, he decided to seek advice from a fellow Rabbi in a distant town, a man his senior by many years, for whose learning and piety he entertained a very high regard. "Surely," he thought, "my problem is not a new one. Others must have puzzled over it and found some satis­factory answer, else how could they continue to study and teach the Talmud." But here again his hopes were destined to be dashed to the ground. When Cohn had hardly finished the unburdening of his troubled soul, the Rabbi whose help he travelled so far to seek began to lash him with his tongue and to pour upon him a veritable stream of insult and vituperation. "So you have set out to find the Messiah, to uncover the inscrutable? You are hardly out of the shell and already you have the temerity to question the authority of the Talmud! The teachings of our masters are no longer good enough for you? You talk for all the world like the renegades across the sea, about whom I have recently read in a Vienna paper, who claim that our Messiah has already come. Better go back to your post, young man, and count yourself happy that you have not yet been deprived of it. And take my warning, if you persist in these unholy ideas, you will one day end your Rabbinate in disgrace and probably wind up among those apostates in America." Disappointed and crushed, Rabbi Cohn took his leave. But in spite of his utter humiliation, a new thought was beginning to form in his mind, and with it he seemed to see a glimmer of new hope in the far distance. America! The Land of freedom! The haven of the persecuted! There he would continue his investigation. March 1892 found Rabbi Cohn in the city of New York, warmly welcomed by his countrymen, many of whom had known him personally at home. 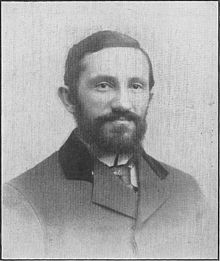 Rabbi Kline of the Hungarian Synagogue, who had preceded him to America, and to whom he had a letter of recommendation, received him with much kindness and even offered him a place of temporary service in his synagogue while awaiting a call to a suitable congregation. On a Saturday, soon after his arrival, Rabbi Cohn went out for the customary Sabbath afternoon stroll. As had become his habit, he was meditating upon the subject of the Messiah. But in the midst of his musings, as he was passing by a church located in one of the Ghetto streets, his attention was arrested by a sign written in Hebrew and announcing "Meetings for Jews". He hardly knew what to make of the strange combination: A church with a cross upon it, and meetings for Jews! While he stood in front of the church absorbed in thought, a countryman of his seized him by the arm and said in a voice charged with fear, "Rabbi Cohn, better come away from this place." The Rabbi was startled, but at the same time his sense of inquiry was aroused. Just what was there about that church with the Hebrew sign upon it? "There are apostate Jews in that church," he was told with bated breath, "and they teach that the Messiah has already come." At the sound of these words Rabbi Cohn's pulse quickened. They teach that the Messiah has already come! Could these be the people referred to by that Rabbi whom he had visited before leaving Hungary? This was something worth finding out. On the following Monday, although still somewhat affected by his Saturday's experience, Rabbi Cohn plucked up enough courage to present himself at the minister's address. He entered the house with many misgivings, but the impression made upon him by the gracious personality of the minister, a Christian Jew, and by the fact that the man was, like himself, a trained Talmudist and in addition the scion of a famous Rabbinical family, very soon put him completely at ease. Before he realized what he was doing, he found himself relating to his new-found friend the story of his Messianic quest. Near the close of the interview, noting that his visitor was completely unacquainted with its contents, the minister handed him a copy of the New Testament in Hebrew and asked him to study it at his leisure. Receiving with eager hands the book which was destined to transform his life and ministry, and being anxious to examine it. Rabbi Cohn opened the volume and turned to the first page, and there his eyes fell upon the first lines of the Gospel by Matthew, "The book of the generation of Yeshua the Messiah, the son of David, the son of Abraham." The feelings which these words awakened in him beggar description. It seemed to him that he had finally reached the goal of his long quest. The sacrifices he had made, the separation from wife and children he had endured, the days he had spent in agonizing prayer – all those things were about to bear their fruit and receive their reward. The problem which neither he nor those he consulted with could solve was now answered by a book, and that book was in his hands. Surely such a book must have come to him by the will of Heaven. God had finally answered his many prayers, and now, he was sure, He would help him to find the Messiah. Taking leave of his kindly host, Rabbi Cohn ran as fast as he could to his room and, locking the door, gave himself to a study of the precious volume, his pearl of great price. "I began reading at eleven o'clock in the morning," he wrote later in reflecting upon the events of that momentous day, "and continued until one o'clock after midnight. I could not understand the entire contents of the book, but I could at least see that the Messiah's name was Yeshua, that He was born in Bethlehem of Judah, that He had lived in Jerusalem and communicated with my people, and that He came just at the time predicted in the prophecy of Daniel. My joy was boundless." But had he been able to look into the future, Rabbi Cohn would have seen other days of sorrow in store for him. Narrow and toilsome is the path of faith in a world of unbelief. His first rude shock came the very next morning, when he tried to share his discovery with Rabbi Kline, who but recently had offered to assist him in finding a charge. "You are a wild dreamer," shouted his Rabbinical colleague when he had heard Cohn's story. "The Messiah whom you say you found is none other than the Jesus of the Gentiles. And as for this book," he said, tearing the New Testament from Cohn's hands, "a learned Rabbi like you should not even handle, much less read this vile production of the apostates. It is the cause of all our sufferings." And with these words he threw the book to the floor and trampled upon it with his feet. Fleeing from this unexpected outburst of wrath, Rabbi Cohn felt himself once more a raging sea of conflicting thoughts and emotions. "Can it be possible that Yeshua the Messiah, the son of David, is the Jesus whom the Gentiles worship?" To believe upon such an one would indeed be an act of rank idolatry! The days which followed were filled for him with heartache and melancholy thoughts. But gradually he succeeded in freeing himself from the clutches of despair and began to study his problem anew in the light of the Holy Scriptures. When he turned to God's lamp of truth, he found light. The prophetic vision of the suffering Messiah began to penetrate his mind as he read and re-read the fifty-third chapter of the prophecy of Isaiah, but yet he was a long way from finding peace of soul. The solemn ques­tions that now stared him in the face were, "What if Yeshua and Jesus are the same persons? How shall I love the 'hated one'? How shall I defile my lips with the name of Jesus, whose followers have tortured and killed my brethren through many generations? How can I join a community of people so hostile to those of my own flesh and blood?" These were indeed questions troublesome enough to rob any man of his peace. And yet, above all the raging storm, there was a still, small voice that kept speaking to his heart and saying, "If He is the Messiah predicted in the Scriptures, then surely you must love Him, and no matter what others have done in His name, you must follow Him." Still halting between two opinions, Rabbi Cohn decided to fast and to pray until God clearly revealed to him what to do. When he began his supplications, he had in his hands a Hebrew Old Testament. Being wholly absorbed in prayer, he was startled when the volume fell from his hands to the floor, and when he bent down to retrieve the sacred book, he saw that it had opened at the third chapter of the prophecy of Malachi, which begins with the words, "Behold, I will send my messenger, and he shall prepare the way before me: and the Lord, whom ye seek, shall suddenly come to his temple, even the messenger of the covenant, whom ye delight in: behold, he shall come, saith the LORD of hosts." Now his entire being was electrified to attention and his every sense of perception awakened. For a moment he felt that the Messiah stood by his side, pointing him to the words "He has already come". Stricken with a feeling of awe, he fell on his face, and out of his innermost came words of prayer and adoration. "My Lord, my Messiah Yeshua. Thou art the One in whom Israel is to be glorified, and Thou art surely the One who hast reconciled Thy people unto God. From this day on I will serve Thee no matter what the cost." And as if in direct answer to his prayer a flood of light filled his understanding, and to his unspeakable happiness he no longer found it difficult to love his Lord, although he was sure now that it was Jesus whom he was addressing. In that hour he knew that he had become a new creature in the Messiah. When Cohn's countrymen settled down to the inevitable acceptance of the fact of his conversion, they proceeded to dispatch letters to his wife and friends at home, to inform them about his "apostasy." As a result, all communications between him and his wife were soon completely stopped. In the meantime the Jews of New York were in an uproar over the act of the once honoured Rabbi. There is no way of estimating what harm fanatical persecution would have inflicted upon him had he remained long in New York. But very fortunately the minister who gave him his first New Testament learned about his plight and came to his aid. A group of friends was rallied, who undertook to give shelter and protection to Cohn; but when it became plainly evident that in New York his life would be daily in dire danger, arrangements were made for his secret departure to Scotland, that he might have opportunity to study and gather strength in a friendly environment. In the city of Edinburgh, in Scotland, Cohn found a cordial welcome among the people of the Barklay Church. It was well that he was now among friends, for he had another battle ahead of him and another enemy to overcome, an enemy more subtle and dangerous than all those he had left behind in New York. Approaching the day of his baptism, he felt that he would have to face the supreme test of his life, and that arrayed against him would be Satan and all the powers of hell. Many things, he knew, were in the balance for him. In a spiritual way he expected to gain much from a resolute and open confession of his faith in the Messiah, but on the human side he was in danger of losing all that he counted dear in life — his wife, children, friends, position, dignities; in fact, everything. For some days prior to his baptism, even until the very hour of his solemn public commitment to the Messiah, Cohn lived under a cloud of gloomy forebodings. Prayer, to which he resorted often, brought him only temporary relief. But on the morning of his baptism, when he reached the church, he felt strengthened and cheered, as if the clouds had been dispelled by the very presence of the Messiah whom he was so eager to confess. Later on he came to know how the prayers of many friends had supported him in the hour of battle and of glorious victory. Indicative of these was a letter he received from Dr. Andrew A. Bonar, the venerable pastor of the Finnieston Church in Glasgow, which read, "My people and I were praying for you at our service this morning." In this way Cohn cut loose from the life he once lived, in order to give himself anew to the service of his people. He was no longer a Rabbi of the law, but a messenger of the Messiah, and he carried in his heart the secret of Israel's salvation. Thus far we have dealt at length with Rabbi Cohn's spiritual pilgrimage, because therein is to be found the secret of this truly great man's life and work. The Doctor Leopold Cohn of the after years, the erudite scholar, the brilliant preacher, the faithful pastor and tireless missionary, can be understood only in the light of the quest of his youth, when as a rising light in the Rabbinical profes­sion he counted nothing too dear to be sacrificed on the altar of truth and devoted to the cause of his people's redemption. The exigency of space compels us now to draw the curtain upon that period of Cohn's life which embraces his residence and labour in Scotland and his reunion with his wife and children. How his family came to share his faith in the Messiah could well be told, and indeed deserves to be told, in a separate story. That they did so, is but an added testimony to the sincerity and upright­ness of the man and the gracious work of God. We take up the story again at the point of Cohn's return with his family to New York in the fall of 1893. The time elapsed between this and his first arrival in New York had changed the man not at all in his essential character. He was the same passion­ate pilgrim after truth, except that now he had his bearings and the goal was no longer to him a matter of speculation. He had drunk at the fountain of living water. "I know whom I have believed." For the former Rabbi there was only one calling in life – to serve God, and only one thing worth doing – to make known the way of God's salvation in Jesus the Messiah. And so, upon landing again in New York, he set about immediately to establish contact with the masses of his Jewish brethren. To secure a platform for the proclamation of the Gospel he opened a little mission in Brownsville. Being a man of practical sense, he devoted himself not alone to preaching, but also to the alleviation of the many needs that he found in the lives of immi­grant Jews who were then crowding into New York by the thousands. It strikes one with pungent tragedy that at his first attempt to serve his people in the name of the Messiah, he stood very much alone. While his work as a preacher did not lack popularity, the Jewish community as a whole still looked upon him with hostile eyes, and Christians, who should have upheld his busy hands, rallied to his aid altogether too slowly. Before he went very far with his mission project, his wife's jewellery, a token of former affluence, had to be sacrificed in order to provide the rent for the humble meeting hall. And there came days when the larder of the missionary's little family was quite bare of provisions and when the children had to be sent to school half fed. Those must have been heartbreaking days, sufficient to crush the stoutest of spirits; but Cohn carried on undaunted, trusting himself and his beloved to God, who had called him out of darkness into His marvellous light. Persecution must also have been a sore trial to the sensitive spirit of the young missionary; but if there were scars inflicted by cruel tongues and hands, those were known alone to God. Cohn never complained, but remained always bright and hopeful. There is on record an incident related by Dr. Cohn many years ago to an intimate group, in order to illustrate the text, "The servant is not greater than his Lord". "One afternoon," he said, "I went to deliver a New Testament at a house where it had been requested. But when I arrived there, a powerful man fell upon me, first battering me with his fists and then jumping upon me with his feet. Finally he took hold of my ears, and lifting my head, he began to knock it repeatedly against the hard floor, all the while intoning in Hebrew, 'These ears which heard from Sinai that we must have no strange gods, and which now listen to the Christian idols, must be pulled out,' and emphasizing each mention of the words 'pulled out' with a terrible jerk." From this experi­ence Cohn went home with blood on his face, but that was the blood of one who suffered for the truth's sake and it became the seed of a great work. But perhaps the sorest trials which he had to suffer came from the side of people who were ostensibly of like mind with him. "False brethren" such characters were dubbed by the apostle Paul, and no better description for them has been found yet. When Dr. Cohn was already established in his work, with a large congregation of Jews whom he had won to the faith of the Messiah, there were found men of sufficient temerity to impugn his motives and to question the sincerity of his faith. Fortunately there were others, men of unimpeachable character, who knew the real worth of Dr. Cohn and stood with him and for him to the end of his life. Dr. Leopold Cohn passed away on December 19, 1937. His funeral services, held at the Marcy Avenue Baptist Church in Brooklyn, N.Y., and conducted by the ministerial association of which he had been a life-long member, drew a large attendance of friends and admirers, both Jews and Christians.